No matter which sort of Mazda you may drive, the expert auto repair specialists at Premier Automotive Services are here for you. The auto mechanics here are trustworthy and knowledgeable, which is why the people of Kent and Des Moines return time after time. We believe you’ll like our straightforward approach. Whenever we think of Mazda, we think of that kid in the commercial who says “Zoom-Zoom.” Do you remember that? We certainly do! 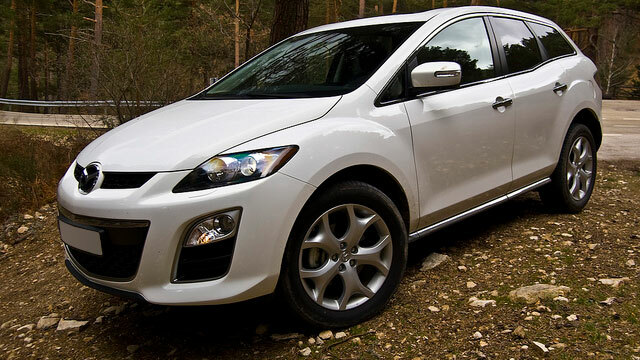 So if your Mazda is missing a little of that Zoom-Zoom, we’d like to get it back for you. Whether you’re driving in Kent and Des Moines or farther away, having some Zoom-Zoom is always a good thing. And Premier Automotive Services has the auto repair technicians who can do that for you. Why Premier Automotive Services? We’re super friendly and super trustworthy, and we do what we say we’re going to do. If we say it’s going to be done at a certain time, it’ll be done at that time. It’s not that hard to do what you’re going to do at the price you say you’re going to do it for. You’ll get checked in, and we’ll make sure you get a ride home. We always do a courtesy inspection and we explain how the process will work when you come in. We have digital inspections, and we talk about the results with you, then prioritize as needed. Our three technicians are all ASE-Certified. “I have an old Mazda Pickup truck. Ryan installed an aftermarket AC. We took the truck to Arizona. The AC along with getting the truck up to speed has resulted in a pickup my wife just loves. She uses it to haul her garden stuff. The AC works great. Can't say enough for the quality of work at Premier Auto” -- Steve M.
Our technicians at Premier Automotive Services would love to service your Mazda. Our guiding principle is to take care of our customers first. Why not schedule an appointment today? We are conveniently located at 25009 Pacific Hwy S, Kent, WA 98032. Our hours are 8:00 AM - 5:30 PM, Monday - Friday.